Submitted by Katlyn Jennings on July 28, 2016 @ 5:14pm. Nestled at the 92-acre Burl's Creek Event Grounds in Oro Medonte, WayHome Music & Arts Festival returned for it's second year without disapointment. I was a new-comer, having heard nothing but glowing reviews of their 2015 debut. The entire experience was a merriment of the spirit of our age. 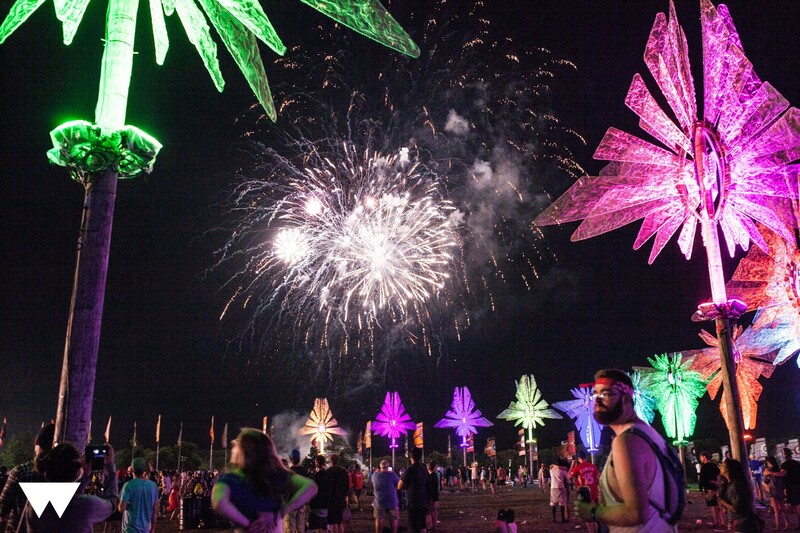 Illuminating art installations were set on rolling hills, tucked within the trees, giving life to each uniquely curated space - WayHome, WayBold, WayAway and WayBright - as the festival's signature flags danced in the wind. 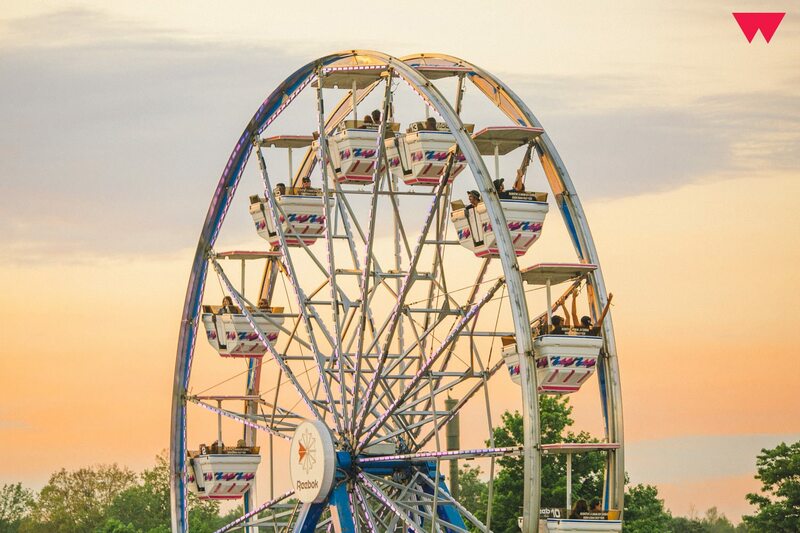 A crowd-pleasing ferris wheel rested centre horizon, glowing in hypnotizing flourescent pinks, oranges and greens. Beyond the main stage, a hub of interactive activations acted like a gathering place amongst the row of food trucks and merchandise tents, cultivating an unforgettable connectedness amongst the many strangers. "I Feel You", a sign reads near the WayBright stage. Artist, Trevor Wheatly was among the crew of artists whose installations couldn't be missed, including pieces by Aaron Li-Hill, Whitford and featured installations from OCAD University. The meeting point of nature and digital was a consistent theme that carried through the grounds, offering a juxtaposition between environment and medium. Indeed, it all felt surreal as we frolicked in the sun, letting ourselves go to the 60+ artists that filled the sky with glorious sounds. Produced by Republic Live and Bonnaroo co-producer AC Entertainment, WayHome saw through headliners LCD Soundsystem, Arcade Fire and The Killers, alongside other impressive acts like Patrick Watson, Chet Faker, Mac Demarco, Mø, Chvrches, Major Lazer, Haim, M83, Stars, Gary Clark Jr., Ray LaMontagne and Badbadnotgood. 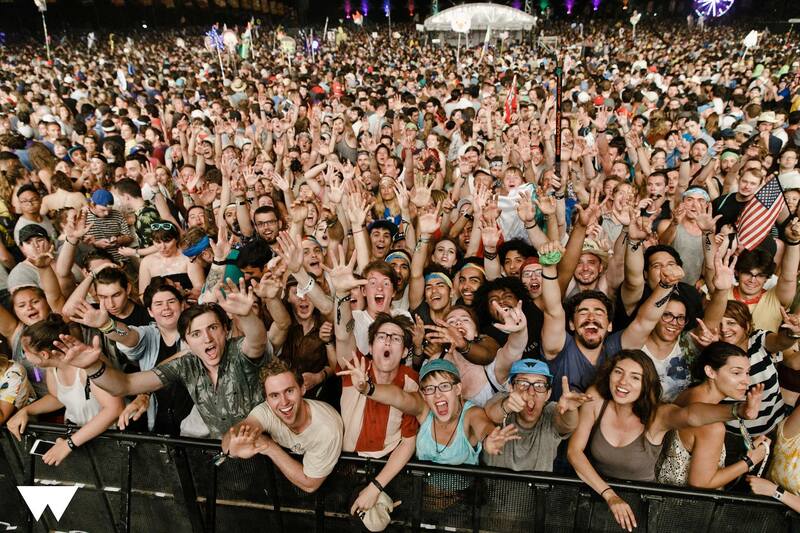 Over-all, the 3-day bash drew in an estimated 40,000 attendants. Wandering over to WayAway and discovering Patrick Watson's set unexpectedly... He finished off the night with "To Build A Home" and every element of his set instilled chills in all who were in attendance. S/O whoever brought the parachute game to LCD Soundsystem. Dancing to "Daft Punk Is Playing At My House" IRL was one of the grooviest moments ever. The entire WayHome stage singing alongside Arcade Fire's "Wake Up" as fireworks lit up the night sky. Standing there so close, you could feel energy radiating from their instruments, filling everyone up. 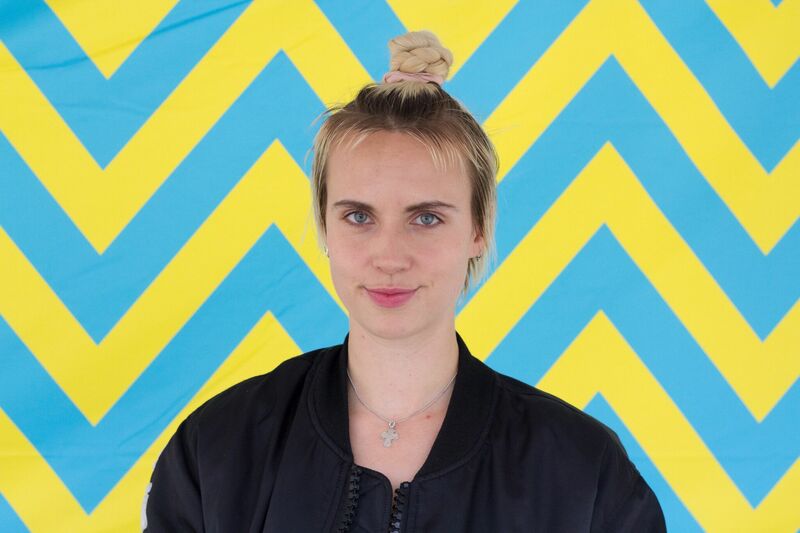 Be sure to check our IXclusive interview with Danish singer-songwriter Mø! What was your favorite WayHome moment? Tell us below!